HMS Lynx was an Acasta-class destroyer of the Royal Navy. She was built on the River Clyde by London and Glasgow Shipbuilding Company as yard number 364, and was 267 ft 6 in (81.53 m) in length, 27 ft (8.2 m) in breadth and had a draught of 10 ft 6 in (3.20 m). She was powered by a steam turbine engine which produced 25000 shp. HMS Lynx was commanded from 16 December 1913 by Commander Reginald St Pierre Parry. 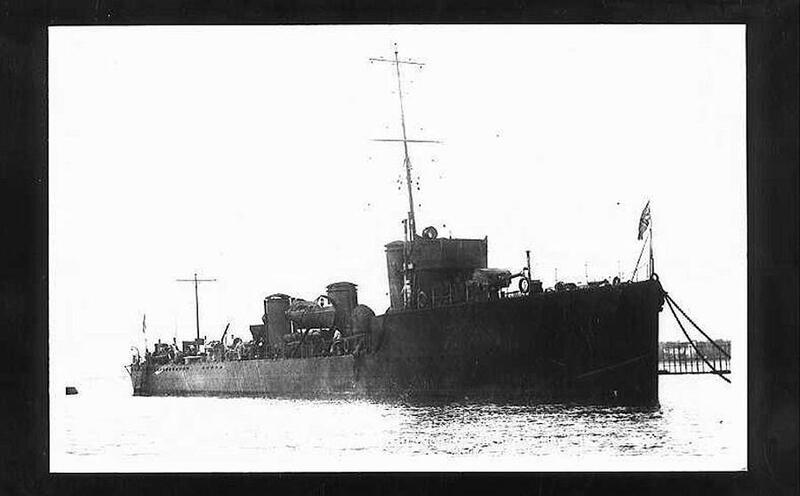 On 9 August 1915 whilst serving in North Scottish waters, HMS Lynx struck a mine off the Moray Firth and sank. Seventy men, including Commander Cole, were lost. Four officers and twenty-two ratings survived. The mine had been laid by the German raider Meteor. There is no evidence of the exact position of her sinking, but survivors were picked up by the Italian steamship SS Vulcano about 8.30am at position 580700N, 023830W. HMS Lynx displaced 892 tons to 1072 tons. She had Yarrow-type water-tube boilers and Parsons steam turbines, giving her a speed of 29 kn (54 km/h). She was armed with 3 x QF 4-inch (101.6 mm) L/40 Mark IV guns, mounting P Mk. IX; 1 x QF 2-pdr pom-pom Mk. II and 2 × single tubes for 21 in (530 mm) torpedoes.